As we're slowly approaching the festive season, it's inevitable that some of us will be faced with the task of dressing for a special event. Be it an office party, a charity Christmas ball, or maybe even something more special such as a winter wedding, I wanted to offer some top go to tips to help you dress for that special occasion without breaking the bank (particularly if you've already spent your next couple of months wages on Christmas presents-we all know its an expensive time of the year!). Money does NOT equal style! Yep, honestly it's the best skill that you can ever learn, and accessorising well can help transform an outfit over and over again. I'd sooner buy a cheaper dress and pay a little more for my accessories. Plus, if you choose well, things like handbags and jewellery last a lifetime and can transform more than one dress. My top tip would be if you choose a dress with a loud pattern, play down your accessories (you don't want to look like a Christmas tree!) but if your dress is plain, feel free to be more adventurous! Summing up the last two points, this photo was taken at a ball a couple of years back. The dress cost around £40 from the Warehouse winter sale. I teamed it up with a Vivienne Westwood bag and jewellery (splashing out more on accessories!) and some gorgeous Melissa shoes. I still have all the accessories and have worn them with multiple outfits since...cha-ching! Again, it sounds super simple but it's true. Check the neckline of your dress and think about how your hair would best suit it. If it's backless, do you want to show your back? In which case pin it up! If it's plain and you're not one for accessories, wear it down. Makeup is a personal thing; I'm one for the more natural look, but a smoky eye can really set off a great outfit this time of year. Apply common sense though-heavily made up eyes and lips can make you look more like a drag queen than a princess-if you like that look that's fine, rock it-but as a general rule I find heavy eyes require more neutral lips and vice-versa. An even older snap, the dress I wore here was all black and flowing. I think I paid £25 for it in the River Island sale. As it was busy, I pinned up my hair and added plain accessories, keeping quite a neutral makeup look. I've since dropped a dress size, so all I've lost is the £25 dress-the rest I still have and wear! Footwear can look amazing, but think practically! If you're going to be dancing all night long, don't wear shoes that you can barely walk in. But if you're sitting a lot, this is a good time to be more daring with your feet. Just make sure they fit you though, nothing kills a look like an ill-fitting shoe. So what about if your a male? I'm not forgetting about you guys! I'd say invest in a really good suit that works for most occasions. Don't think you can't accessorise-a different coloured tie, shoes in a variety of colours, a pocket handkerchief, a pocket watch-they can all help transform a look multiple times over. But if you really want to change your suit over and over, I have the perfect answer for you-rental! The Black Tux are an amazing company that offer suit rentals at budget prices, so you can look great without spending your life savings! And the best part? They'll even help you with the accessories too. 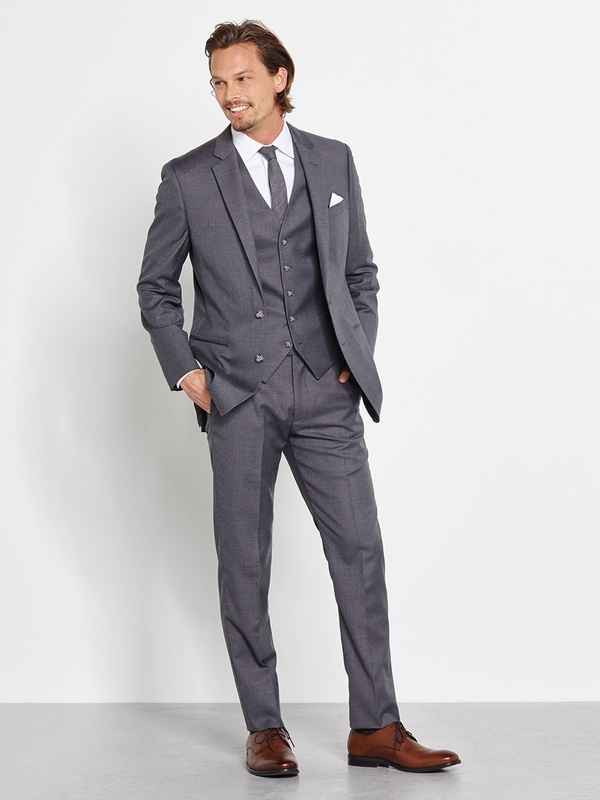 I really like this charcoal suit from their collection-a rental for just $95! On it's own it's super stylish and sleek, but change the colour of the shirt, the tie and the shoes and you'll have a completely different look altogether! ...the Hemingway. What more could you want when everything is chosen for you? Super stylish and super easy, and all at a great price! I hope this post will guide you on your way to styling for that special event, but remember to enjoy yourselves too-you can never put a price on fun! Some brilliant tips! I've been trying to find a dress for the festive season and been really struggling, going for one last look this morning then giving up!